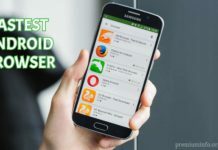 FLAC or free lossless audio codec is an audio codec that will ensure that users get the best and advanced results in relation to audio formats that are played using different players. It is also one of the codecs that play in the best way and will also ensure that file sizes are compressed and also reduced by 50% when they convert using FLAC format. Here we will discuss about the best Free Flac Player for Windows. The entire FLAC format function is supported only by the most advanced media player but the FLAC codec on the less advanced Flac players can also be installed to ensure that the file formats are supported with ease and satisfaction. In short, this format is highly recommended for storage and transportation of media with ease. Here are some collections of the best free Flac Player for windows, safe to use, simple and easy to operate. You can also do the latest updates if they are available. 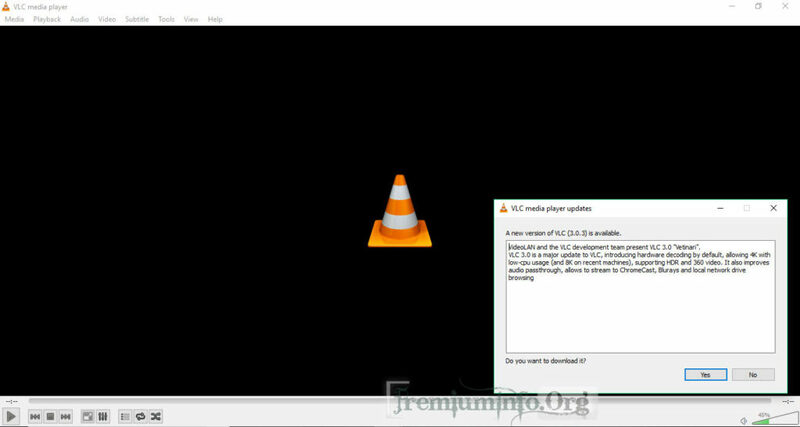 VLC also a favorite media player also supports Flac format, Media Player can be installed on personal computers and laptops, It has simple appearance also lightweight which makes this media player an outstanding when compared with other flac players. In addition to playing music, this application can be used to play video. For those of you who want to get a simple media player for music and video should use VLC media player. Windows requirements: This application can be installed on all windows ranging from XP sp3, Windows 7, Windows 8 and Windows 10. Have lots of skins that can be downloaded for free. VLC plays Files, Discs, Webcams, Devices, and Streams. No spyware, No ads, No user tracking. Plays video formats: MPEG-1/2, DivX® (1/2/3/4/5/6), MPEG-4 ASP, XviD, 3ivX D4, H.261, H.263 / H.263i, H. 264 / MPEG-4 AVC, Cinepak, Theora, Dirac / VC-2, MJPEG (A / B), WMV 1/2, WMV 3 / WMV-9 / VC-1, Sorenson 1/3, DV, On2 VP3 / VP5 / VP6, Indeo Video v3 (IV32), Real Video (1/2/3/4). Audio format: MPEG Layer 1/2, MP3 – MPEG Layer 3, AAC – MPEG-4 part3, Vorbis, AC3 – A / 52, E-AC-3, MLP / TrueHD> 3, DTS, WMA 1/2, WMA 3, FLAC, ALAC, Speex, MUSIC, TrueAudio, APE, MACE. Well in this Second sequence this is a well-known application of GOM, maybe many have known the GOM that can play video. But GOM also issued a special application to play audio music, this application is quite easy and has an elegant appearance which has fairly complete feature. This audio player supports almost all audio file formats: MP3 / WAV / CDs / WMA / M4A / OGG / APE / / MID / PLS , It also supports flac player format and can be used on Windows Vista / XP SP3 / 7/8 / 8.1 / 10 operating system. 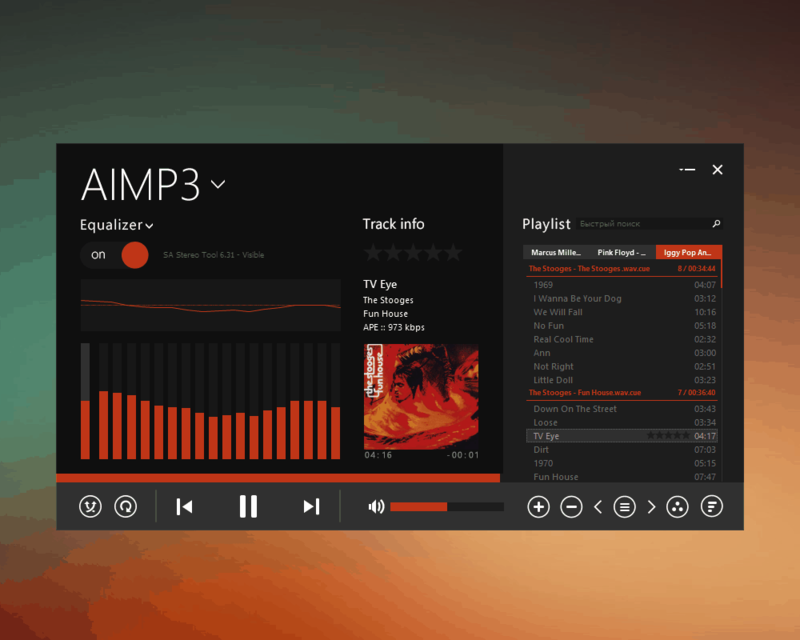 Aimp is my favorite music player software, this music player has an elegant appearance is also lightweight to use. Recommendations for those who are looking for a music player for playing FLAC format files. If you like to run a Flac Codec format it will surely support this player. Auto library, automatically creates music library. Who is not familiar with the Winamp app, this decades-old app still exists to these day. Winamp has continuously perfected over the years with several new features added. The Winamp interface provides you with the ease of playing digital music with the features very much. Winamp has support for various audio formats such as MP3, AAC, FLAC, WAV and OGG Vorbis. It can import music files from iTunes, local folders that have a disk and audio CDs. 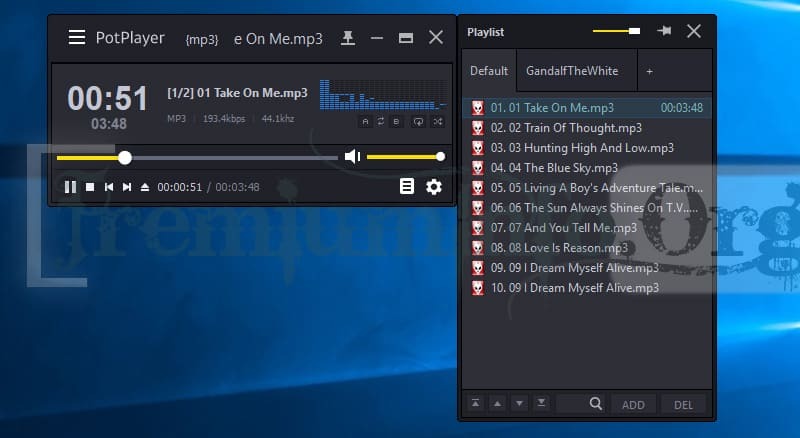 Apart from audio playback, Winamp also facilitates streaming through podcasts, Internet radio, and some other media, and offers music equalizer so you feel comfortable listening to music. 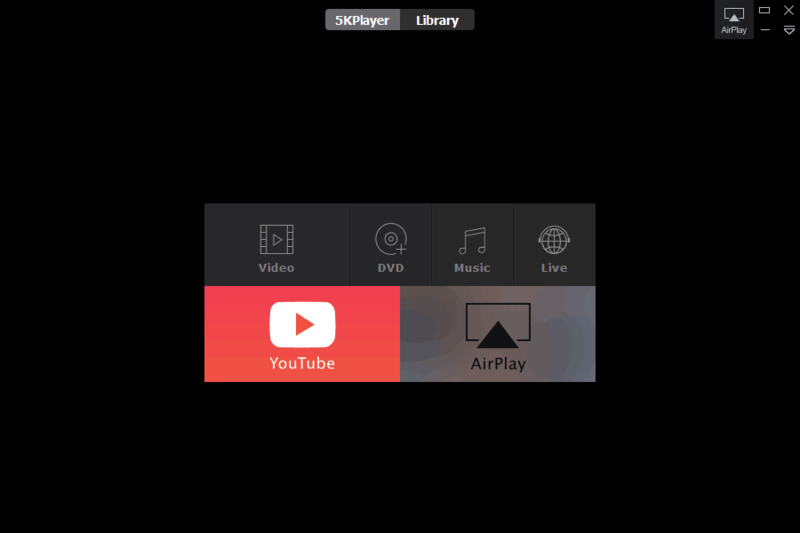 5K Player is a top-notch media player available free for Windows OS. The player allows you to run Flac media files with High Definition, thus allowing you to truly enjoy your time while video viewing or listening to music. 5K Player supports almost all formats including FLAC files. It has a very easy to use interface with lots of customization options. It guides you through every option available for use and displays only important functionalities at the front of the layout. 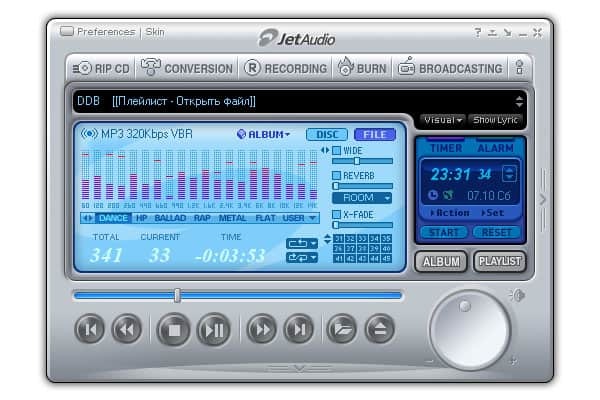 JetAudio was present in 1997 when the mp3 boom was sweeping the PC world. Winamp as the king of the audio player at that time apparently can still be developed again. And this is seen by many other app manufacturers as an opportunity to seize the market. Jet Audio has advantages (at that time) many equalizer options, better Bass, and neat playlist management capabilities. Although now, many better music players than JetAudio, for the fanatical fans who have been accustomed, this player remains the main choice. Cnet Download .com released data if JetAudio downloaded more than 21 million times. Pretty cool right. Supported file formats: AVI, WMV, MPG, MP3, OGG, WMA, Quicktime Video, ASF, APE, FLAC, IMS, M4A, MID, MIDI, MPC, OGG, SPX, TTA, WAV, AU, SND, WV, VCD, SVCD, IFO, M3U. ASX, WAX, WVX and many more. Pot Player is one of the best media players available for the Windows operating system. It allows you to play different formats of files, audio or video including FLAC player files, with ease. It provides you with excellent functionalities with customization options. Pot Player has a multifaceted interface with lots of options displayed for your use. It offers various playlist controls to personalize your media experience. With Pot Player, you have the liberty to play audio and video files continuously. You can decide the starting and ending point of the file you want to repeat and Pot Player will use the A-B repeat feature to carry out the process. Pot Player also allows you to play 3D files without any glitch. The player provides you the facility to load thousands of songs and videos, and play them back to back without even a blink. You can use Pot Player to process and use the function of de-noising to get a clear audio file. It also enables you to play partially downloaded or damaged without any difficulty. Pot Player also comes with a unique feature called as “Hardware Acceleration”, with which you can boost the CPU’s speed to play heavy audio and video files easily, you are certain to fall for this feature. Music is not just limited to audio files stored on a device’s storage, as there are number of other media such as radio and podcasts. If you are one of those who like to listen to music from various sites, MusicBee is the perfect app for you, bringing the convenience of enjoying radio, podcast, or locally stored music files in just one application. MusicBee is one of the music player application with many features that you can try. From the music library management to the file organization automatically to control music playback, everything is owned by this app. In addition to codec support such as MP3, M4A, FLAC, Musepack, WavPack and Opus, MusicBee also supports audio interfaces such as WASAPI and ASIO for audio cards. This music player application also features an update tag that will automatically identify tracks from missing tags. In addition, MusicBee also has support for WinAmp plugins and can sync music and playlists with android devices. iTunes is another media player available on Windows OS that supports FLAC format. The platform is perfect for the people who are looking for a player that could help manage the music chores. Music lovers will be able to sort the tracks according to rating, artist, album or even year. The application will also enable you to listen to online radio. Users will be happy to listen to stations where the songs are hand-picked by the music lovers. Users can even play podcasts. iTunes is an application that is equally compatible with the mobile device, as it is on the computer. You can even sync devices and get music from multiple platforms. This is a great feature that many users bank upon to enrich their music experience. The interface that you see for the iTunes is also quite impressive. 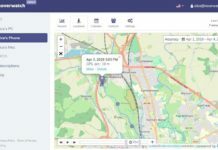 You can even reduce the dimensions and let the interface have a smaller window. The application will even provide recommendations based on your listening pattern. So don’t be surprised if iTunes comes with tracks from the genre that you love. You can even buy some songs online with this player. The next app on the list, Foobar2000, is one of the most popular music players for Windows. Foobar2000 uses USP as its interface, making it look more minimalist and cleaner than dopamine. This app has features ReplayGain, DSP manager, FTP and media server. Foobar2000 has support for audio codecs such as MP3, MP4, AAC, Audio CD, WMA, Vorbis, Opus, and FLAC. The advanced search feature of Foobar2000 is very useful for searching music with certain criteria, another feature is the automatic monitoring of media libraries that serves to monitor changes such as adding or deleting music and managing audio file elements such as cover photos, lyrics, or artist photos. 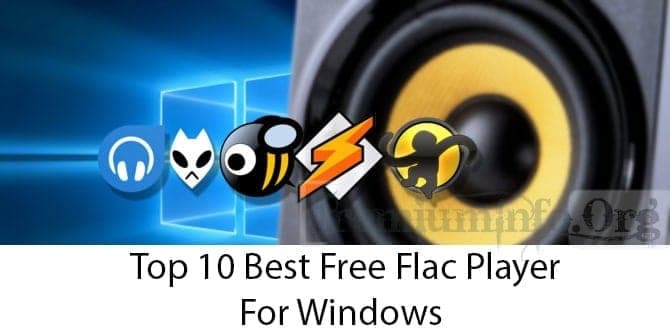 That’s the list of 10 best free Flac player for windows. If you have any suggestions for adding free Flac player in our list, Don’t hesitate to comment below. We are happy to listen your feedback about our post.